Paper Makeup Stamps: OMG did you See?! Hiya everyone! It's time for another OMG did you SEE wednesday! As promised, we are pulling cards from the splitcoast gallery with tags "paper makeup stamps, pmsgallerychal". All cards with these tags get put into a big drawing. 1 lucky winner is going to get a fairy made just for them or one of their loved ones! I cant wait to see how it all works out! It's going to be so much fun! So far there are just a few in the running... dont you want a shot at this awesome prize! Of course you'll receive of the finalized stamps for free when it's produced. What do you have to lose?! gorgeous card by Anita - she's got some talent! 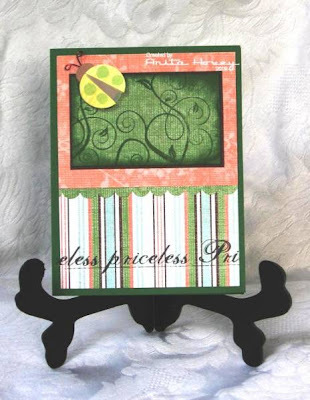 A beautiful card by Anita!! Such a lovely card; great job Anita!! ooh, nitsy! you're so lucky...and talented...I can't wait to see "your" fairy!